Providence URSEC Spill Proof Urinal is the first urinal that has innovative anti-reflux system and will not spill its contents, even if rolled completely over. It incorporates best features of traditional urinals and solves the problem of accidental spills. 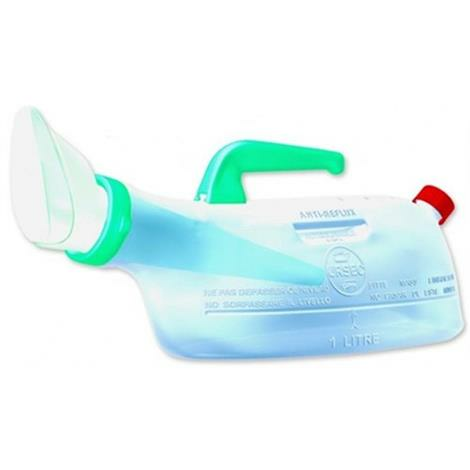 This no spill urinal bottle has a wide stable base making it easy to position for use. 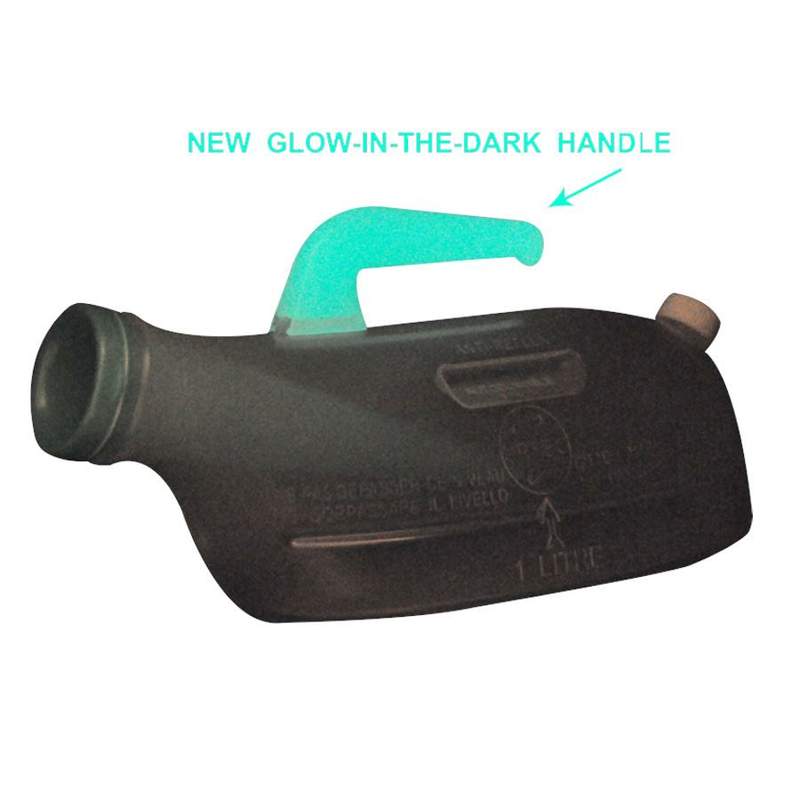 Sturdy stain-resistant plastic let the user see when emptying is needed with a visible "full" line. How to Clean URSEC Spill Proof Urinal? 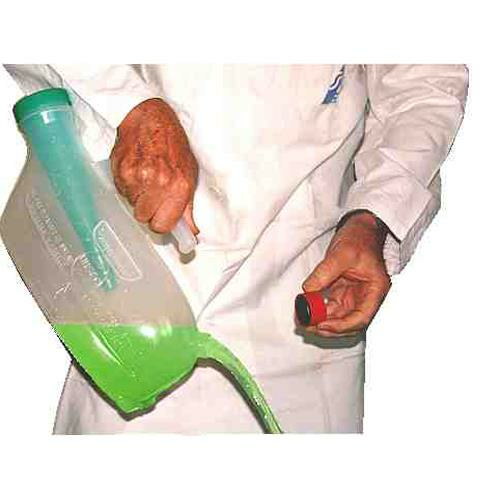 Why use URSEC No Spill Urinal Bottle? Female Urinal can be used by women while seated on the edge of a bed or in a reclined position. 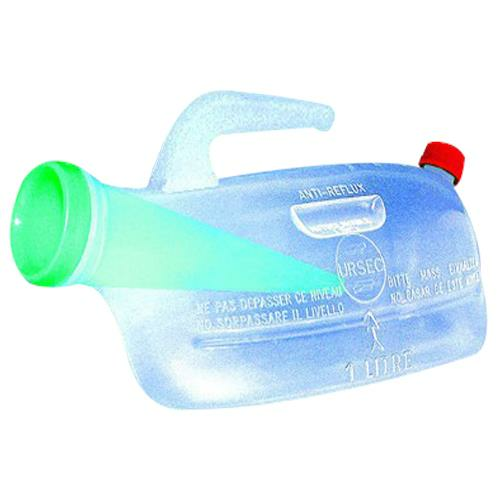 Female URSEC Urinal is easy to use and will not spill its content whatever its position is. It is made of light, soft to the touch, polypropylene plastic that can go in bedpan washers and can be autoclaved at 130°C (266F°). At home the Female URSEC can be cleaned with cold water + chlorine. Does the urinal come in a smaller size? Can it be used for a physically disabled person? Yes, URSEC Spill Proof Urinal can be used for a physically disabled person. It has an easy-to-grab handle and a large, flat base that prevents tip-overs. Transparency of URSEC Urinal gives the user a visual cue that assures him that he can still pee when needed. Does the urinal have a hard unsmashable base. My client smashes the urinals with his legs. 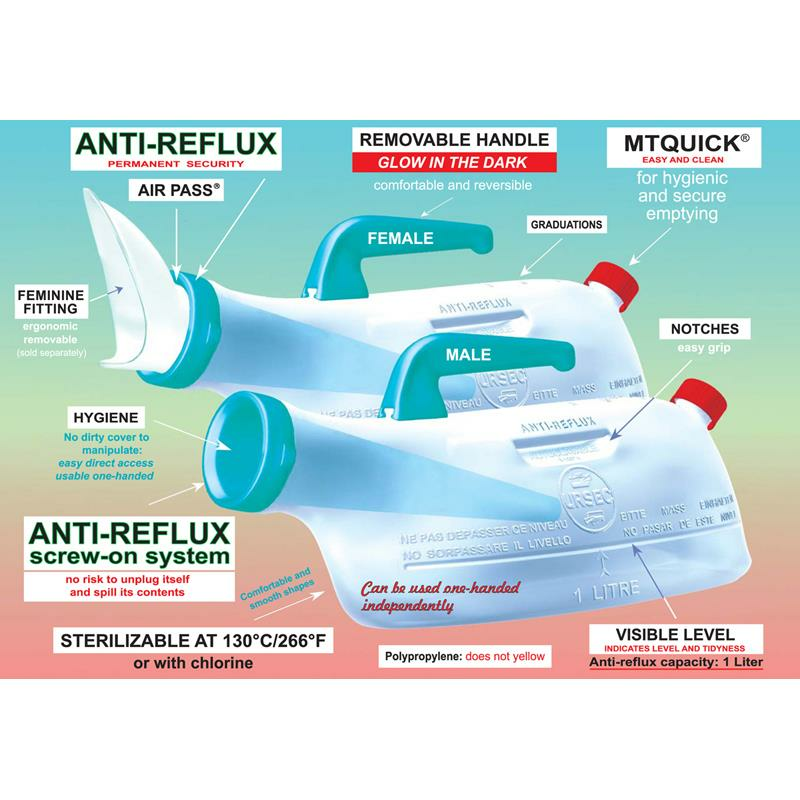 I would suggest you the Rose Healthcare Unisex Portable Urinal as it is made of Made of unbreakable polyurethane. What material is it? and dimensions?